The recently enacted American Recovery and Reinvestment Act (ARRA) requires every state to take steps to improve teacher effectiveness. It does not say to change the structure of the school, install a reading program, or recycle the fads we have tried over and over again with no success. 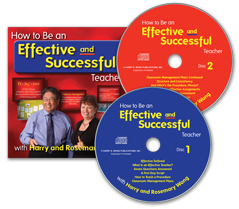 To improve a classroom, school, or district, we must train the teachers and develop their effectiveness. 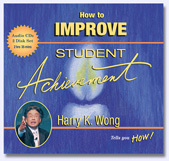 The only factor that increased student achievement was the effectiveness of a teacher. Effectiveness is not a fleeting concept. What it takes to be effective and how to achieve it is known. teachers and know how to bring about these benefits. You work just as many hours as the education leader in the neighboring school. Their test scores are higher, their children have fewer behavioral problems, and their classrooms buzz with learning—and you’re left to wonder why this is not happening at your school. What are your colleagues doing that you’re not doing? If everyone knows what to do, they will do it! So what is it that they are doing and how do these leaders get their schools to do it? Wayne’s new school received students from three different schools, all coming in with their own experiences and expectations. Can you imagine what a mess it would have been on the first day, the first week, the first month, or even the entire first year of school, if the school staff had not come together to establish a clear, consistent, and comprehensive school-wide set of procedures? There are schools that have been around for decades and still have no discernible school culture that sets them apart from other schools. Yet, in three short years, the staff and students at General Ray Davis Middle School have so identified with its school-wide procedures, that they are able to proudly claim ‘The Davis Way’ as their own! Of course, as with everything else—be it playing a musical instrument, driving a car, or doing a sport—the more procedures are practiced, the better they are learned, and the faster they become routines. They are like automatic reflexes—procedures and routines are carried out without even thinking about them. 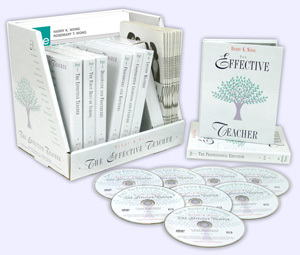 “Ultimately, it is a great investment that improves instruction the other 170 days of the year. Our teachers and students are much happier as a result,” says Mike. “Our procedures have become the routines by which we function, and the proof is in the test results. Our scores have achieved heights we only dreamed about. “Our academic index jumped from 83 to 110 and it wasn’t the result of one or two isolated changes. 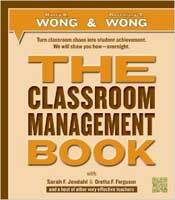 The Wongs have shared ideas used by so many effective teachers and these ideas have provided a culture for our school. It is this culture that has enabled our other efforts to be more successful. 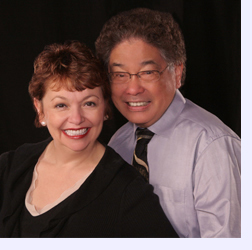 “After over 20 years, and in my ninth as a principal, I love what I do,” says Mike. Dr. Jerry Ralston is superintendent in Glasgow, Kentucky. His expects district-wide success and he gets it. He says, “In Barren County Schools, we expect procedures to not only be in place—they also need to be understood and affirmed by everyone. In line with this, our staff shares PowerPoint presentations on their First Day of School Procedures. It took Mark barely six years to become one of the best principals in the United States. Mark implemented a school-wide culture of procedures—does this sound familiar? Mark continues, “On top of that, our school has a creative schedule that allows the staff to have T3 (Thursday Teacher Time) every week. On Thursdays, our students report to school at 9 a.m. and our teachers come in at 7.30 a.m. During this time, we are in our Professional Learning Communities with our new, newer, veteran, and very veteran teachers split up among groups. “We make sure each group has a mix of teachers at different points in their career who bring varying perspectives, experiences, and ideas to the table. All this benefits the students, and of course, they are happy, productive, and fulfilled teachers. Under Mark’s leadership, the school has dramatically increased the number of students taking Advanced Placement and other rigorous courses. And since 2003, the school has raised its graduation rate by more than ten points to 82 percent. It has also closed the achievement gap in critical areas such as English language arts. 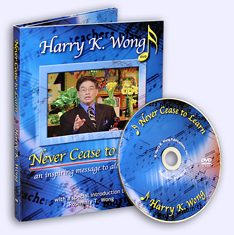 Mark is one of those visionary leaders who recognize the dynamic nature of education. Learning is constantly evolving, and bringing everyone together to establish the direction for the school year ensures consistency with new and veteran teachers, as well as old and new students to the school. Procedures, routines, and processes that are confidently and consistently applied school-wide and even district-wide allow teachers to focus on teaching, students to focus on learning, and success to be achieved by all. There is no hocus pocus, bag of tricks, special programs, or multi-million dollar school endowment fund involved. There is just a school-wide or district-wide culture of success, and a drive to continually become more effective teachers. The examples you’ve just read sound repetitive, and they are! Only the characters and settings have been changed. And that’s our point. Good schools with sound leadership are easy to establish. They’re in every state and Canadian province. You know one immediately when you enter the school. There is an aura that radiates the culture of success. On the other hand, you know a school in need of help the moment you set foot on campus. With no money spent (an important consideration in these economic times), and with just the convening of a staff meeting, the road to success can be under way. 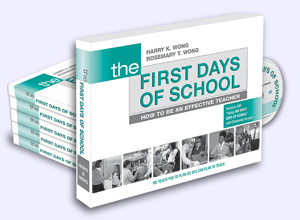 There are more examples of successful schools in The First Days of School. Please go to page 328 and access the GoBe, “A Most Effective School.” Visit a school with a consistent learning environment and take a look at the poster they use to ensure everyone knows what the procedures are from Day One. Also, read pages 328 to 330 about Lee Douglass’ school. Each day, the students remind themselves about their mission in coming to school (learning!) with a school-wide morning routine. Their test scores are extraordinary and it is because they have managed to establish a comprehensive and coherent culture of learning. 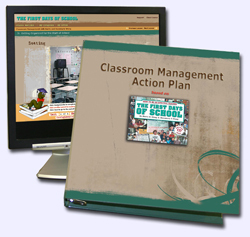 The cause-and-effect results from establishing procedures in your school are well known. The examples we have just shared document a culture of success. The Tools for Success are encapsulated in three easy words—Procedures, Procedures, Procedures. Such a simple tool for such a powerful result. Procedures aren’t hard, they cost nothing to implement, and they produce results that are priceless. In successful classrooms, schools, and districts, everyone knows what to do and does it. You now know what to do. Please just go and do it!